Sophomore guard Josh Greene broke the CSUN school record Wednesday night with 33 straight free throws made in the Matadors’ 120-69 win at the Matadome. The streak, which spanned seven games, was just one of many highlights in a romping that saw the Matadors (7-2) shoot 70 percent in the first half en route to a huge 58-37 lead over the Lions (6-5). 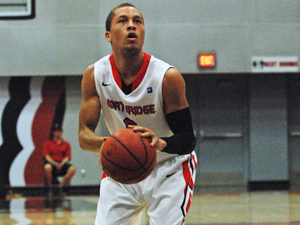 Northridge, led by Stephan Hicks and his double double of 23 points and 11 rebounds, easily cruised to victory as CSUN had six scorers in double figures. Sophomore Stephen Maxwell had 16 points and nine rebounds, while Greene added 15 points and nine assists. Hicks got the scoring started with a breakaway jam off an intercepted Vanguard pass and set the pace on defense for the Matadors. The teams exchanged points while freshman Landon Drew began to heat up. 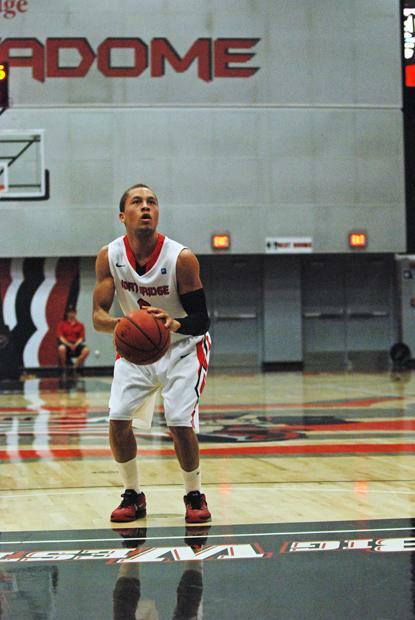 Drew sunk two three-pointers on consecutive trips, giving CSUN the 18-15 advantage. Both teams were even at 21-21 before the Matadors put on an 11-point run to widen the gap and force a Lions’ timeout. Hicks and Maxwell weren’t going to allow the Lions back into the game. 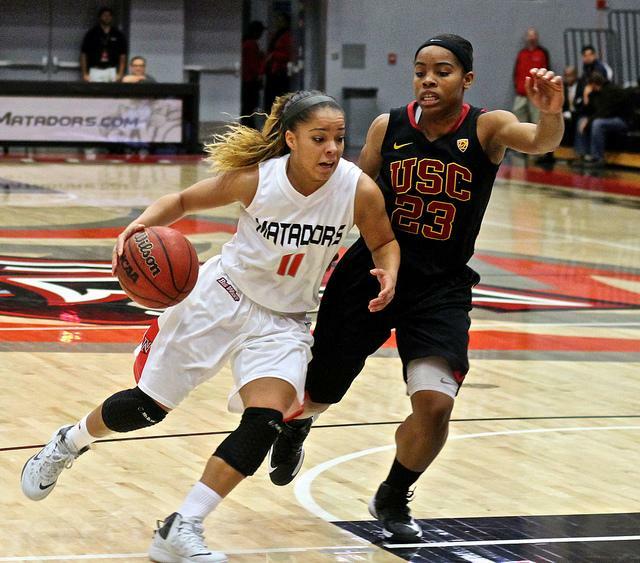 They powered CSUN offensively, scoring 13 and 10 respectively, as the Matadors kept their distance despite turning the ball over nine times in the half. 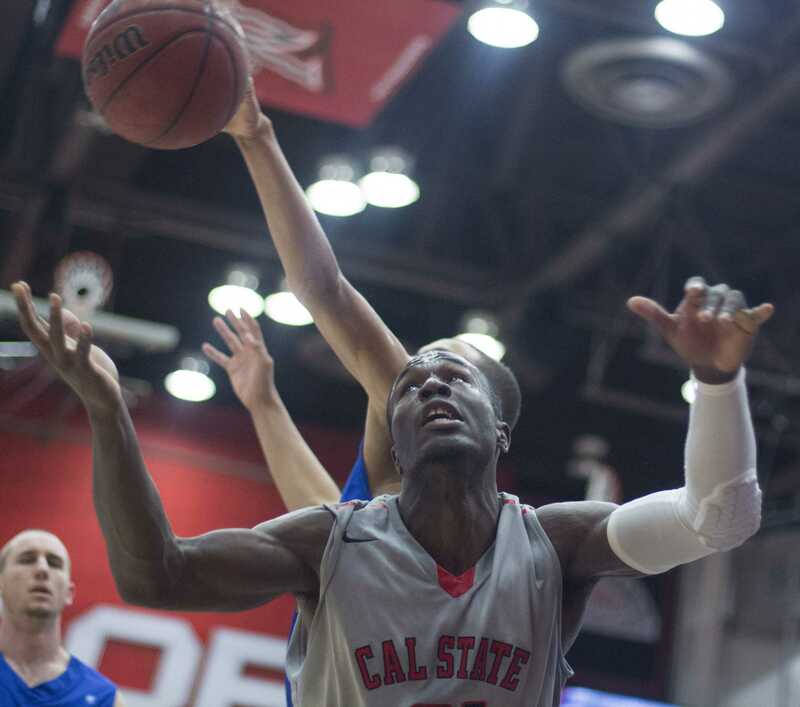 CSUN outrebounded a smaller Vanguard squad, 22-10, allowing second chance opportunities with seven offensive rebounds. Northridge further extended its lead in the second half with solid play from freshman Landon Drew and Tre Hale-Edmerson and pulled ahead by as many as 52 at one point. Vanguard’s sophomore Preston Butler tried to will his team back into the game with some motivational war cries but the Lions’ offense continued on without as much as a purr, shooting 37 percent. The crowd went wild as CSUN hit 100 points, handing all fans in attendance a free combo at The Pub. 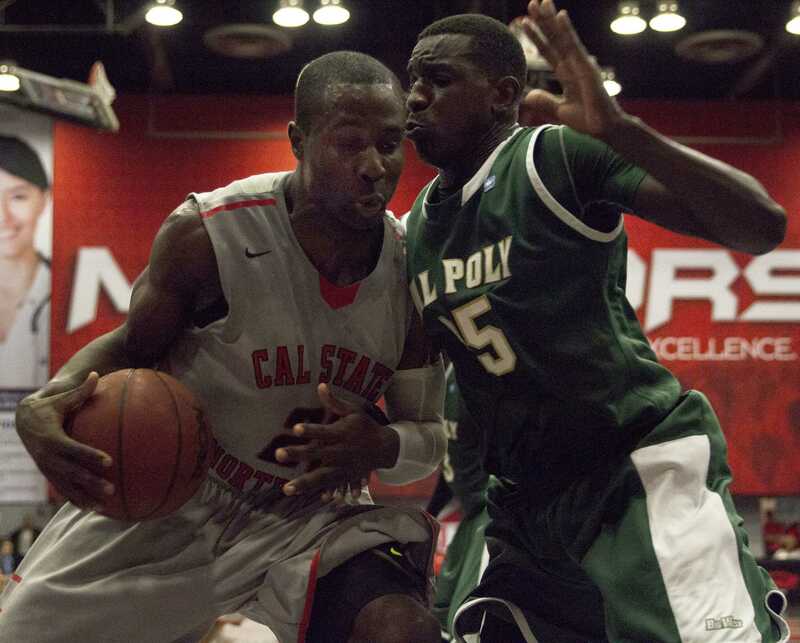 CSUN let off the offensive pedal and let the bench players nab some minutes as they cruised to the 120-69 final score. 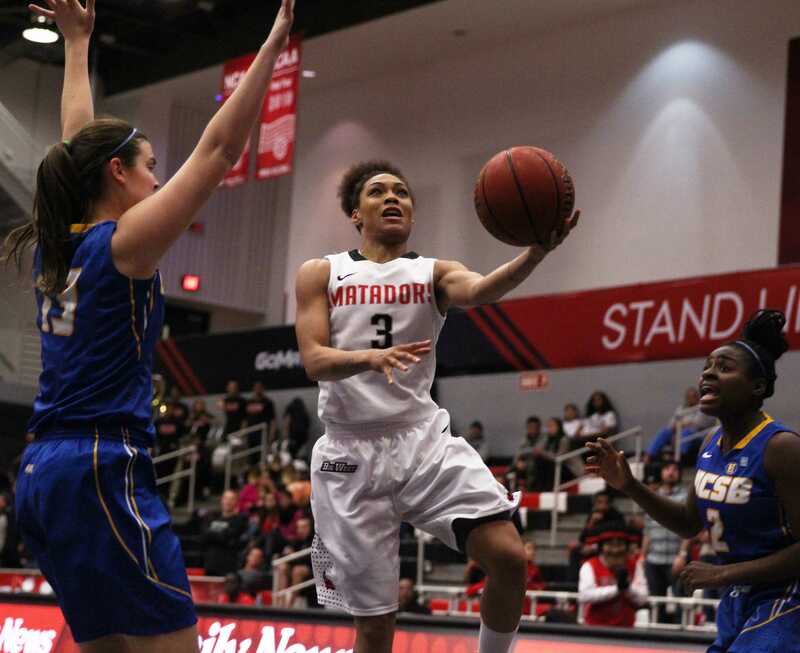 Northridge gathered 32 assists as a team, which was a different scene than the one fans saw against UCLA in the Matadors’ last game, and also outrebounded the Lions, 49-25. The team was happy to gather its seventh win of the season, the same amount of wins CSUN had all of last year.